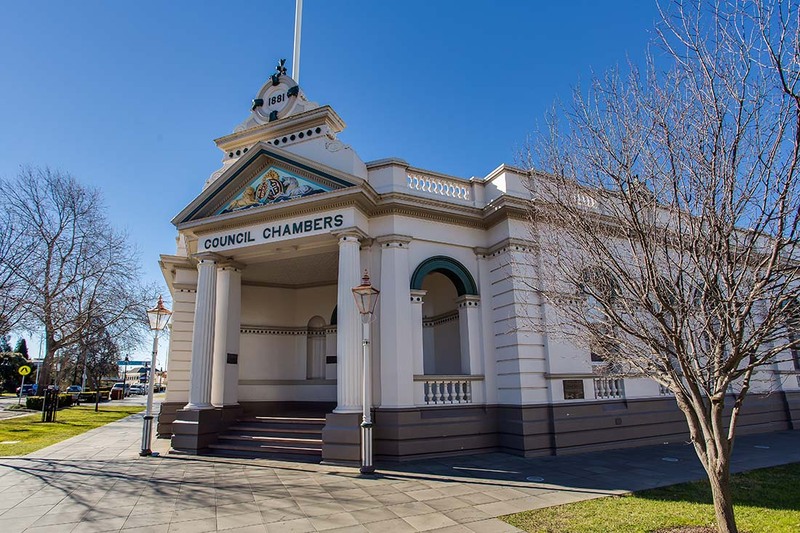 Located in the centre of Wagga’s main street and opposite beautiful gardens, the Historic Council Chambers were built in 1881. The meeting room has vaulted ceilings and tall arch windows. The building also hosts major exhibitions throughout the year. Adjacent is Council’s Civic Centre with library, art gallery and café. Equipment can be arranged as required. There is disabled access to the meeting room.